Annual German-American Steuben Parade of New York is one of the largest observances of German heritage throughout all America and the world. With tens of thousands of German-Americans marching up Fifth Avenue every year in September, the Parade is also a showcase of the strong friendship between the two countries. NEW YORK, Aug. 23 2016 – Manhattan is preparing for this year’s German-American Steuben Parade which traditionally takes place on the third Saturday in September. This year, the Parade will be held on September 17. 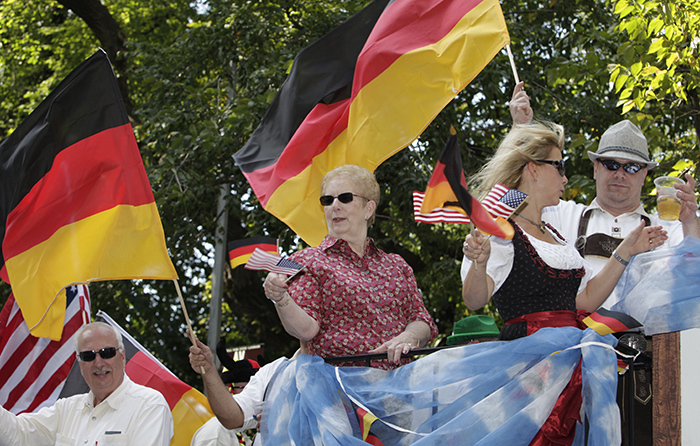 The whole German-American community of New York and beyond will march up Fifth Avenue between 65th and 86th street. Nine marching divisions present traditional costumes, music, dances and rituals from their cultural heritage. The month of September is full of German-American activities, celebrating the long friendship between the two countries and the contributions made by German immigrants to the United States. The celebrations kick off with a German Wine Pairing Dinner. September 17 marks the highlight of German-American friendship month with the big Parade and an Oktoberfest in Central Park where beer and traditional German food will be guaranteed. On September 23, there will be another Oktoberfest with the New York Mets at Citi Field. The 2016 Steuben Parade has two very special guests. Famous ice-skater Katarina Witt and Peter Wittig, German Ambassador to the United States, will serve as Grand Marshals. Both guests stand for German unity and achievements of the German community abroad. United Nations_New York_September 05 2012 – Peter Wittig, President of the Security Council for the month of September 2012 and Permanent Representative of Germany to the United Nations, briefs journalists on the Council’s programme of work for the month. Photo: Luiz Rampelotto/Europa Newswire. Witt grew up in East Germany and started her career as a popular ice-skater in the German Democratic Republic. She later started for Germany after the reunification of 1989. Witt stands out with her Katarina Witt Foundation, founded in 2005, helping young people with special needs to regain mobility. She was admitted into the “US International Women’s Sports Foundation Hall of Fame”. 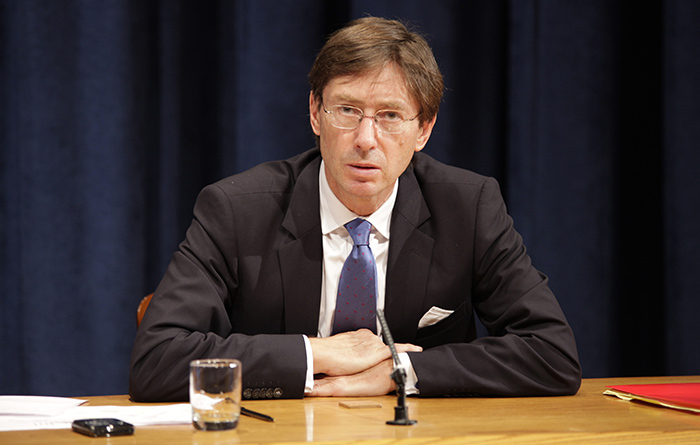 Peter Wittig joined the German Foreign Service in 1982 and served as German Ambassador to the UN in New York between 2011 and 2012. He then became German Ambassador to the United States in 2014. As an important representative of his home country, he is an ideal Grand Marshal for the annual Steuben Parade. The Parade will be opened by Miss German-America 2016. Rebecca Joy Koehler was nominated to serve as this year’s Miss German-America and is excited about her position, as she will preside over the “Queen’s Float” during the Parade. Two Princesses will join Koehler as her court: Michaela Stuart and Oona Yasukevich. Koehler already served as a Princess for the 2015 Steuben Parade. The 21-year-old volunteers as a youth leader at her church group and a retirement home in New Jersey. Samantha Hart, Miss German-America of 2015, is very grateful for the special experience of serving the German-American community throughout the last year. “I would like to thank the Steuben Parade Committee for the opportunity I’ve had as Miss German-America and everyone involved for this amazing experience,” said Hart. 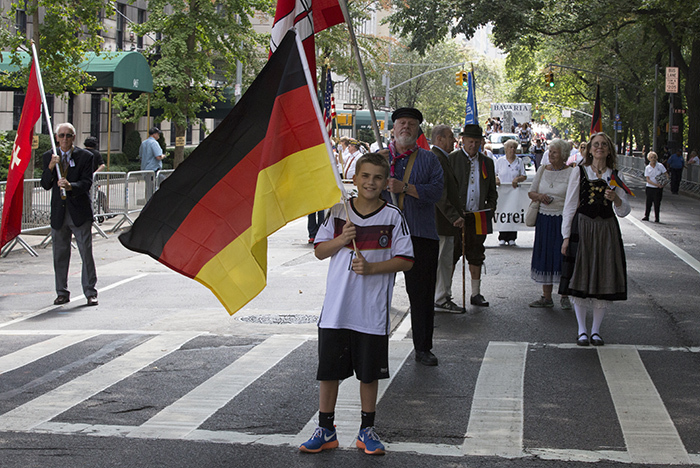 Fifth Avenue, New York, USA, 19 of September 2015 – Thousands of people participated today on the 58th German-American Steuben Parade in New York City. Officially founded in 1957, the Parade is dedicated to the great contributions of German immigrants to the United States and named after one of them, Baron Friedrich Wilhelm von Steuben. Steuben was a Prussian officer under Frederick the Great. In 1777 General von Steuben was sent to the United States to assist in the American Revolutionary War. He trained first President George Washington’s troops with his Prussian tactics and together they won independence for the United States. Washington wrote a letter to Steuben in 1783 to thank him for his service. This year, Steuben’s birthday falls on the day of the Parade. His birthday in mid-September is one of the reasons why his name was chosen for the German-American Parade.